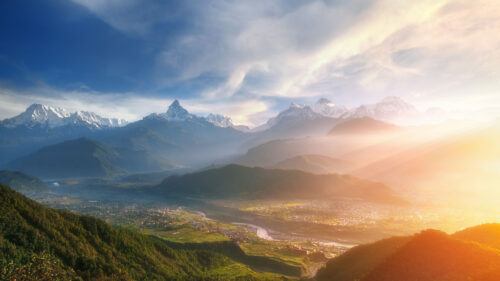 The Shangri La is set in the tranquil heart of Pokhara, beneath the mighty snow capped peaks of the Himalayas. An excellent base from which to explore the city the resort has a large swimming pool and extensive spa. Each of the 61 guest rooms is air-conditioned and features a balcony from which to see the beautiful mountain views. There are several bars and a large restaurant offering multi region cuisine.